Interests - Rivers loves Justin's House from Cbeebies. All Disney related things. Dogs, trains, play-doh and smile, sensory stuff. He enjoys dancing and having fun. Roxi-Blue loves the Disney character Stitch and Princess Bell. Unicorn's, Fairies, Mermaids, Goats, Foxes, rabbits and cats. Harry Potter themed things. Squishy's, slime. Her favorite colours are yellow and Blue. Ocean love's all animals, his favorite are elephants, rhinos and giraffes. 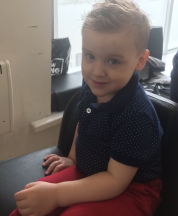 He's into Disney, P.J Mask's, Paw Patrol, Play Mobil and the Ryans Toys collection. To be honest Ocean has great enthusiasm for everything!! Please do not send small items River can put in his mouth or latex balloons (he doesn’t have an allergy but they are dangerous to him). Our son River is now 8 years old and suffers from a life-threatening condition. He has an extremely rare and complex mutation on his CNK SR2 gene. There is no cure! River will need 24/7 lifelong care and he will never really have friends he can play with or share his life with because he will never have his own independence. River is non-verbal, but can communicate. He sadly suffers from the life threatening type of seizures, status epileptics, which are a medical emergency. He’s attended resus too many times – first when he was only 5 weeks old. I (his Mum) had to perform CPR on River when he was 2 years old and he is rushed to ressus by ambulance frequently. He also has central sleep apnoea, hypermobility syndrome, sensory processing disorder, autism, ADHD, severe learning disabilities etc. All we can do is hope and pray our River makes it into adulthood, as we have nearly lost him so many times. We want to make the most of every day we have with him, making special memories and for him to enjoy his life to the best he can. When River is able to he loves going to theme parks, going on fast rollercoasters, watching live shows, farms, zoos, all kinds of days out, he has a real love for life and having fun! Despite all his challenges, he is such a delightful and sunny boy, so caring and determined to fight everything life has thrown at him, and he is loved by everyone who meets him. River is such an inspiration. 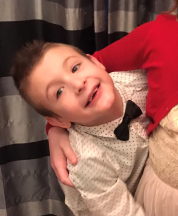 River’s struggling and unfortunately his special school have noticed that since Christmas he’s stopped retaining information and not doing as well. New plans for his schooling is in process. He misses a lot due to his medical issues. His more recent tests (EEGS) show that River is having a lot more seizure activity, so this is more than likely why he’s not doing too good. We are working closely with one of River’s consultants on different medication plans and changes to try to get his seizures under control. We hope for better days. Our family would like to thank you all for the thoughtful post you send to us. Your kindness and support brings so much excitement and smiles. And as parents reminds us we aren’t alone. Thank you so much. 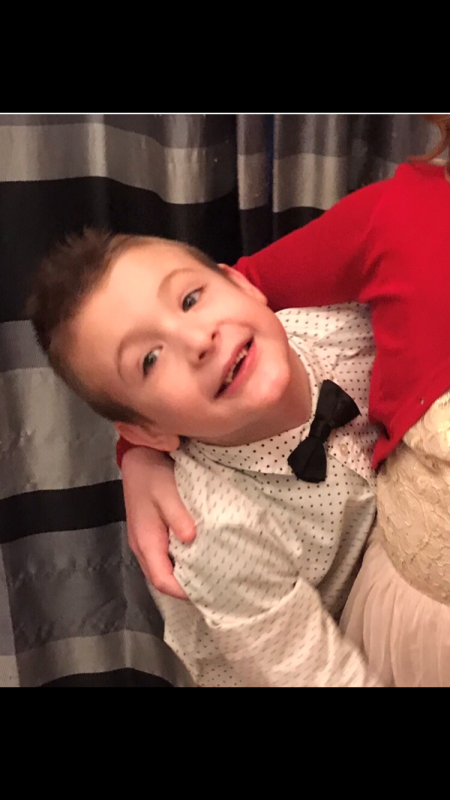 River has missed a lot of school recently due to him having a lot of seizures needing to use his seizure rescue medication for status Epilepticus seizures. When he has made it into school he’s been getting shaking and too tired so we have been bringing him home early. But he did get to enjoy his school sports day, he was so chuffed to see us all in his school, he found it very funny and was showing us what he could do as he loved making us smile and praise him! Due to all the seizures,he has had so much trouble sleeping, getting headaches and sickness, and just generally knocking him out of sorts, so as a family we have been taking one day at a time. And when Rivers has been up to it getting him out in the lovely sunshine. 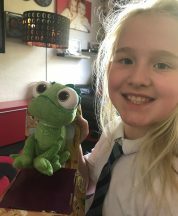 He has been receiving lovely post from his amazing Post pals, along with his big sister and little brother who have had so much fun opening cards, letters, pictures and playing with gifts. We thank you all so much, it means so much to our family, bringing so many smiles when it’s needed. Thank you.